The Rudin Fellowship in Medical Ethics and Humanities supports medical trainees at NYU School of Medicine – including medical students, residents, and clinical fellows – pursuing year-long research projects in medical humanities and medical ethics under the mentorship of senior faculty. It was established in 2014 through a grant from the Louis and Rachel Rudin Foundation, Inc. and is a core component of the Master Scholars Program in Humanistic Medicine. Philip receiving his fellowship certificate from Drs. 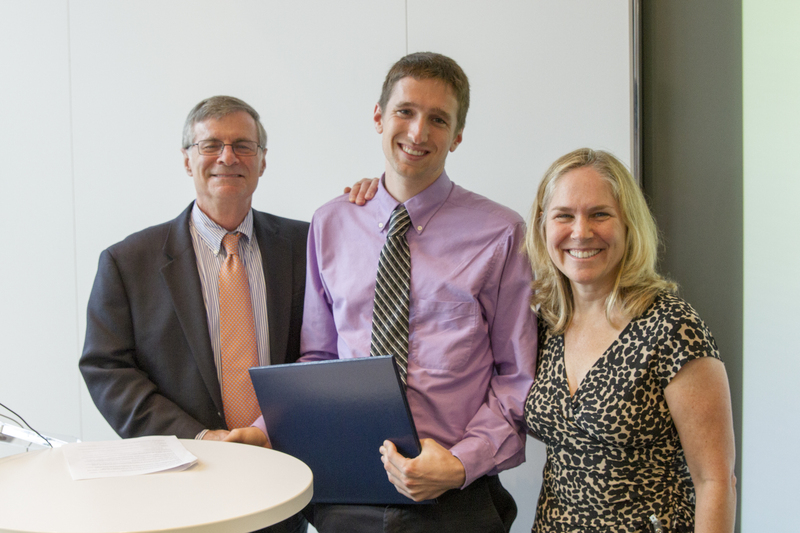 David Oshinsky, his Rudin Mentor, and Lynn Buckvar-Keltz, Associate Dean for Student Affairs, at the Rudin Fellowship Project Showcase, July 7, 2015. How did you become interested in vaccine refusal and why did you decide to pursue this as a project through the Rudin Fellowship? Vaccine refusal is something I’ve been interested in for a long time. As a medical student, and someone with a lot of doctors in my family, it was just accepted that you go to the doctor and get your vaccinations. So, growing up in an age where it felt like there was this huge movement of people who weren’t vaccinating their kids, was something that I didn’t understand very well. The goal behind this project was to dig a little bit deeper and figure out why this was happening. Why weren’t kids getting vaccinated? Where were places with better or worse vaccination rates, and why?